You'll be £9.95 closer to your next £10.00 credit when you purchase Calais. What's this? 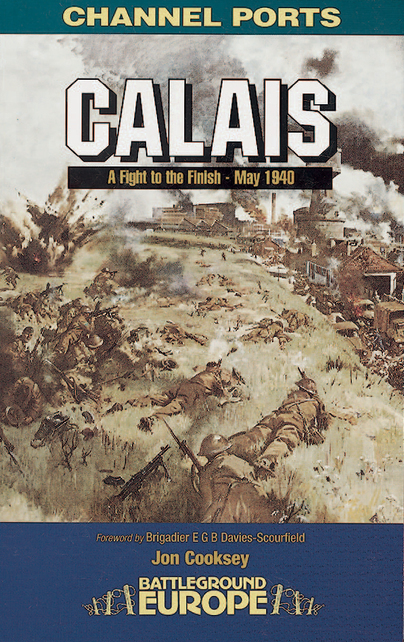 This is the story of the Battle of Calais, a short but bloody struggle to delay the German advance in May 1940. It is a story of uncertainty, of taut nerves, of heat, dust, raging thirst and hand-to-hand fighting in the narrow streets of the channel port now known to millions of Britons as a gateway to the Continent. The guide will take the visitor beyond the ferry terminal and hypermarkets to reveal the hidden Calais and the actions of individuals and units.